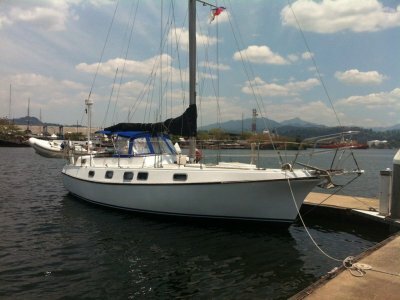 1981 Islander 36, for sale in Panama. 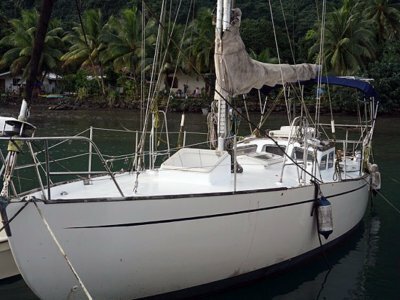 "Perfectly placed and perfectly priced to set sail across the Pacific or return to the Caribbean. 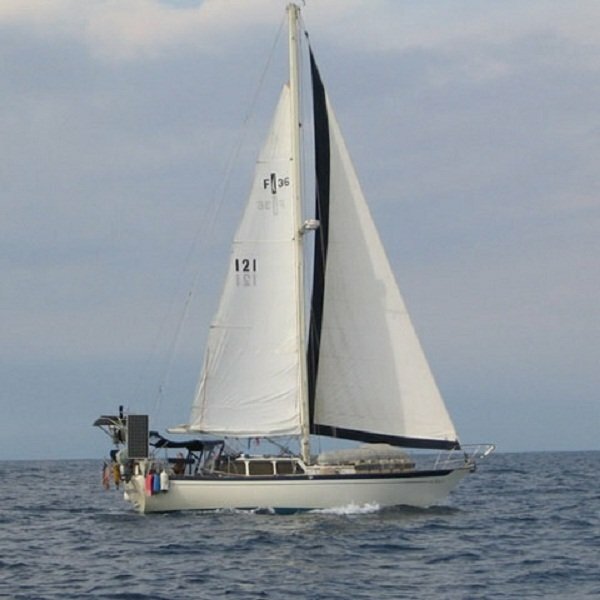 This beautifully kept and fully equipped and frequently updated, and well proven, cruising sloop designed by Bob Perry is smooth and roomy and has an excellent turn of speed. 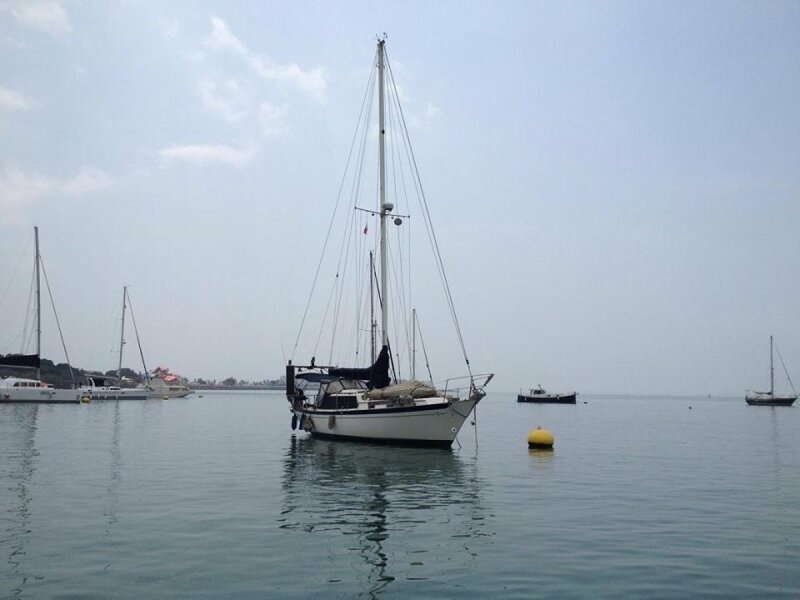 This really is a turn key cruising yacht, just add your provisions and sail to wherever you wish. 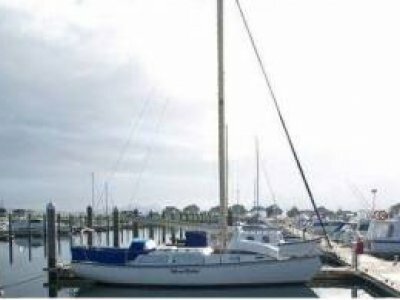 Windsong is a 36 foot single masted sloop which was built in 1981 by the Islander Company in Southern California and designed by famed yacht designer, Robert Perry. 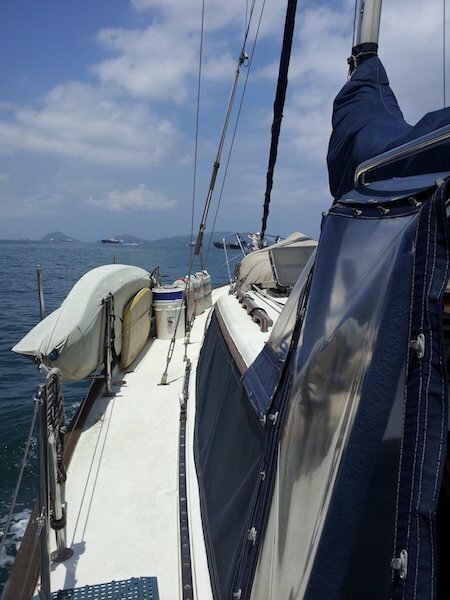 She is the perfect combination of traditional cruising comfort and exciting performance - a yacht planned for extended cruising that is also an ideal live-aboard. 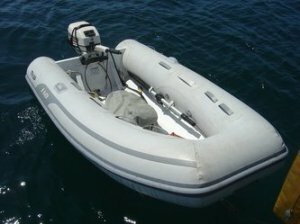 At the stern, a set of unique boarding steps that are built into the center of the transom pivot down to meet your dinghy or let you board from the water when swimming. The roomy T-shaped cockpit has ample room for lounging. 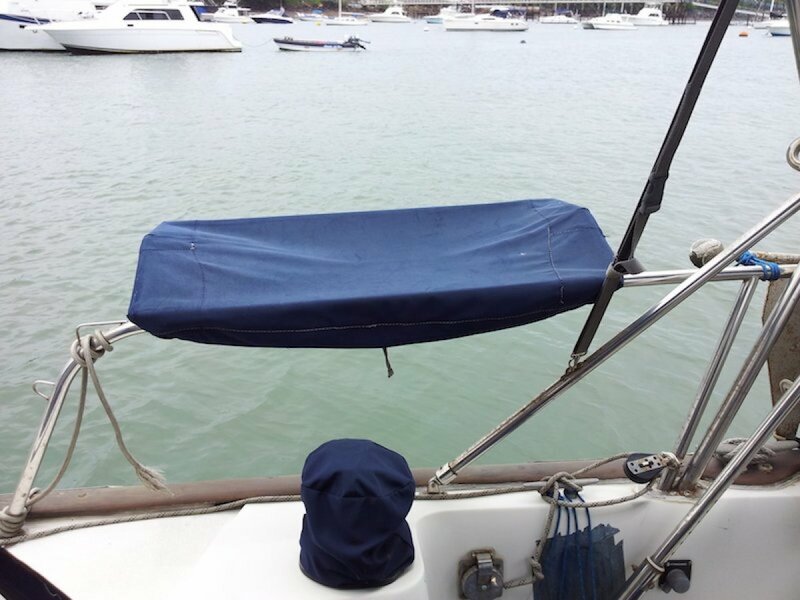 The cockpit seats, with storage beneath, have contoured benches and backs that are comfortable in port or under sail. The sturdy stainless steel rail stern pulpit gives added safety to the cockpit. 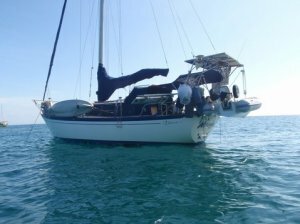 The cabin house is a classic design long favored by blue-water cruising sailors who enjoy light, airy, roomy cabins. 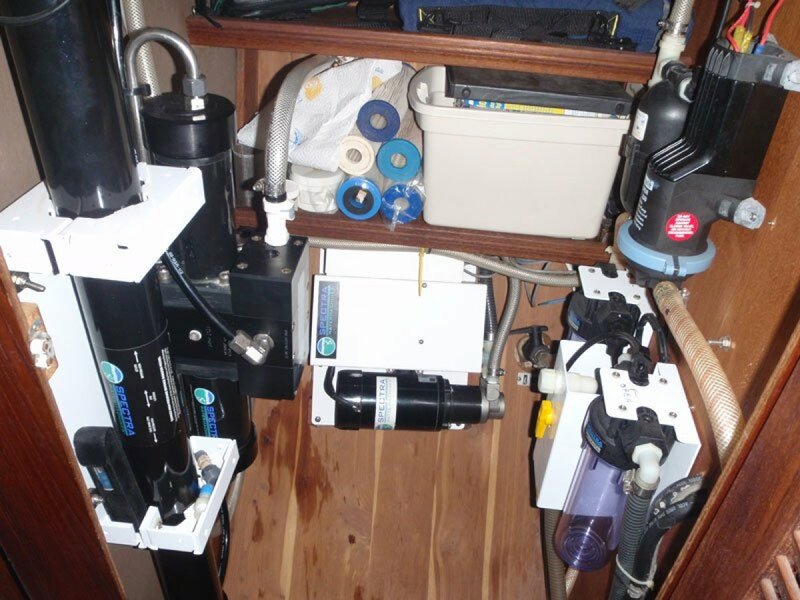 The functional U-shaped galley is a seagoing gourmet's delight and has been designed for convenient use in any sea. Windsong offers a gimballed 3-burner stove with oven, 7 cubic foot refrigeration unit with cold plate, and deep double stainless steel sink with counter space surrounding each of these work areas. Above the sinks is a custom Teak storage area with wine rack below. 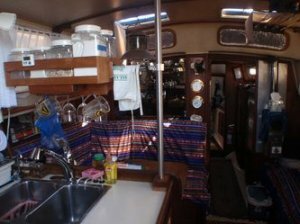 There is convenient dish storage and pantry space behind cane doors, plus abundant provisions stowage in a dry locker as well as behind the companionway steps. 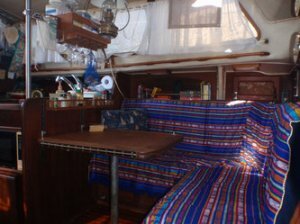 Forward of the galley, the dinette seats the crew for meals or can fold out for a candlelight dinner for six. 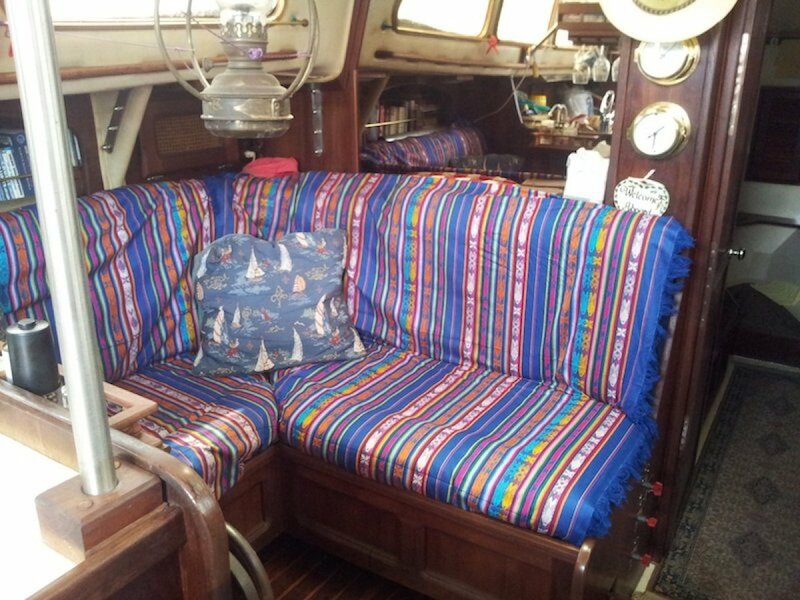 The settee to starboard expands to a double berth. 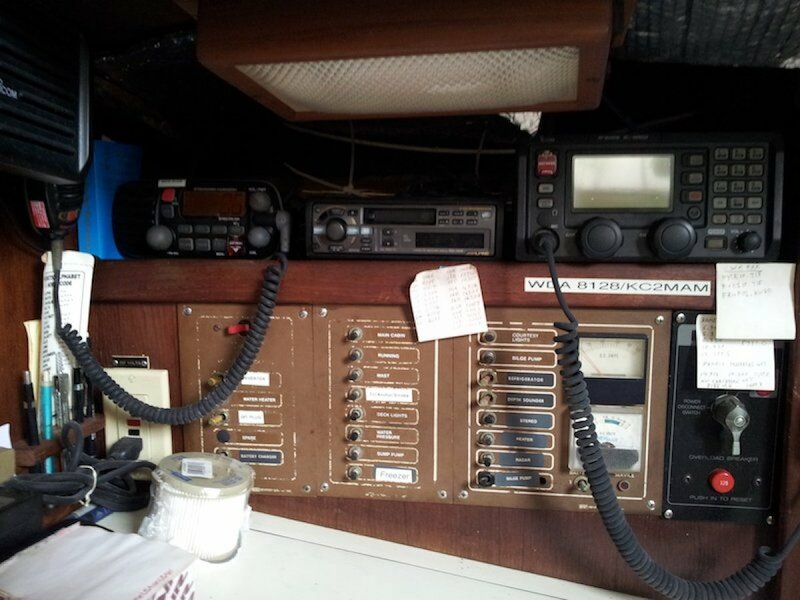 Aft of the starboard settee, the chart table/desk houses all of the electronics, including VHF radio, GPS Chartplotter/Radar, AM/FM stereo radio w/ cassette and 12 disc CD changer, SSB/Ham radio, etc. 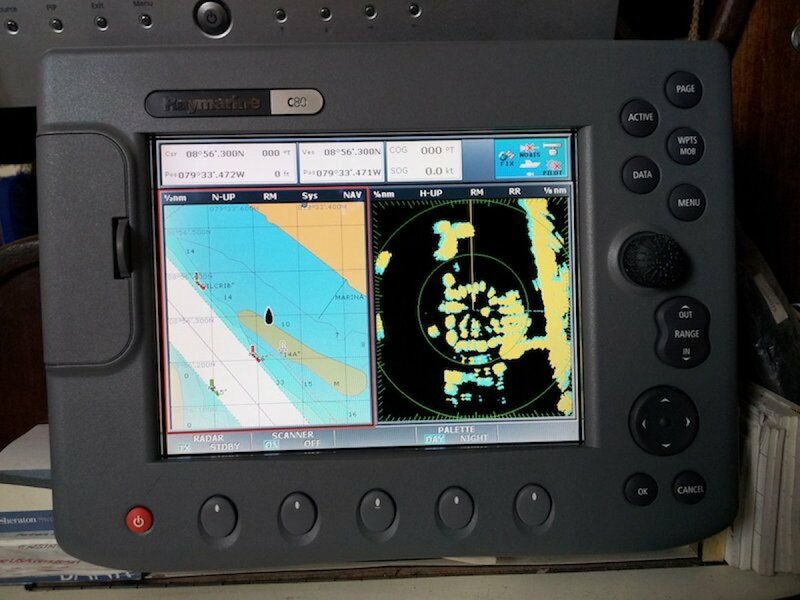 Behind the chart table is the quarter/captains berth. The warm, all teak interior is accented with caned and louvered doors, and a recessed toe kick conceals courtesy Red LED night lights. 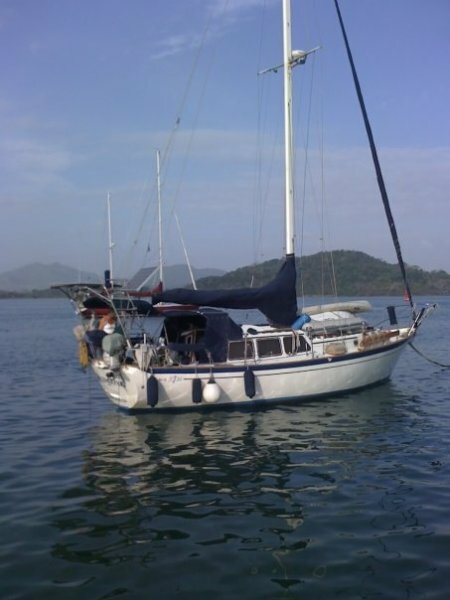 Amidships, behind a solid teak door in the most comfortable part of the yacht, are the owner's accommodations. 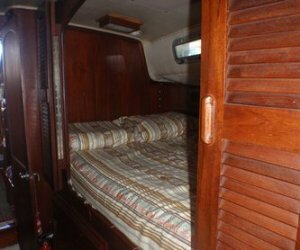 On the port side is a permanent 6' 7" double berth. Just below is a teak topped cedar-lined storage bench for convenient seating and easy access to the berth. 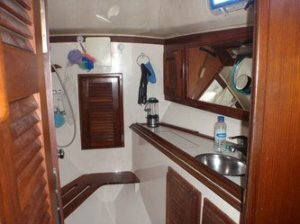 To starboard behind teak-louvered doors are spacious "his and hers" hanging lockers which frame a bureau of drawers topped by a shelf and another cane doored storage area. 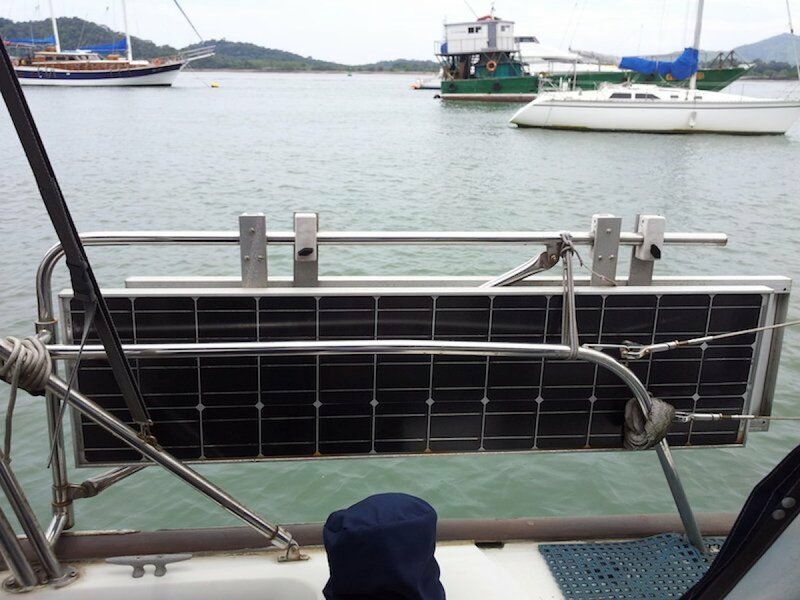 The owner's berth closes off with teak shutters so that guests berthing in the salon have private access to the head. Forward, in the generous head compartment is a stall shower, marine head and a large pullman with mirrored vanity. 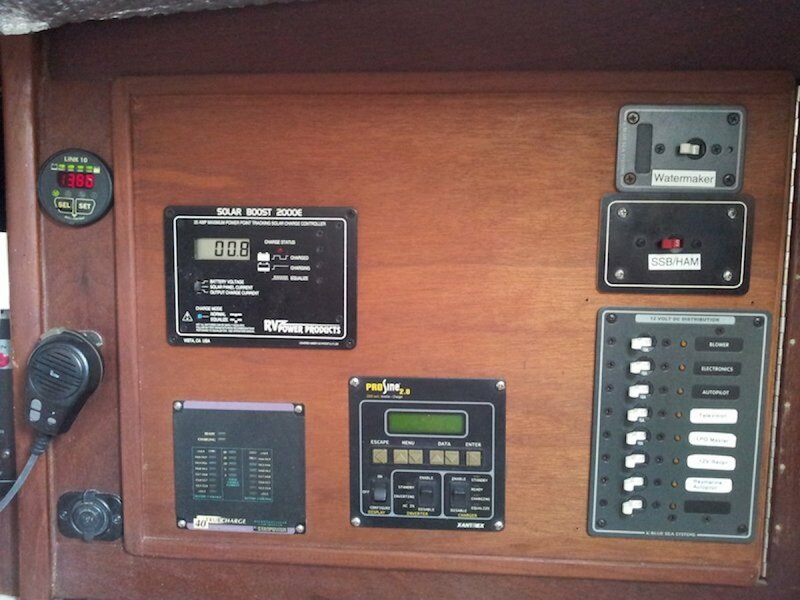 All are set in the rich, warm teak joinery work for which Freeport/Islander yacht interiors are famous. Many, Many Spares and extras! 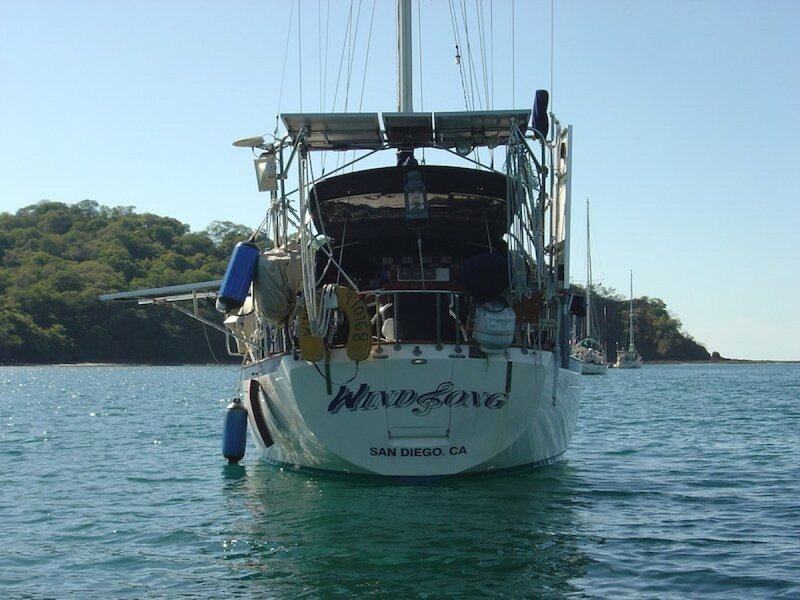 Windsong is equipped with a 50 HP 4 cyl Pathfinder marine diesel (a modified VW engine), which easily maintains hull speed. 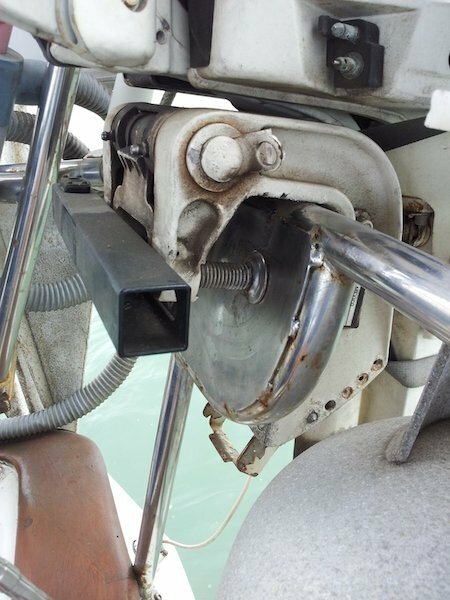 Placement of the engine low amidships over the keel increases the yacht's stability, provides more efficient drive angle, and eliminates the need for a delicate supporting strut. 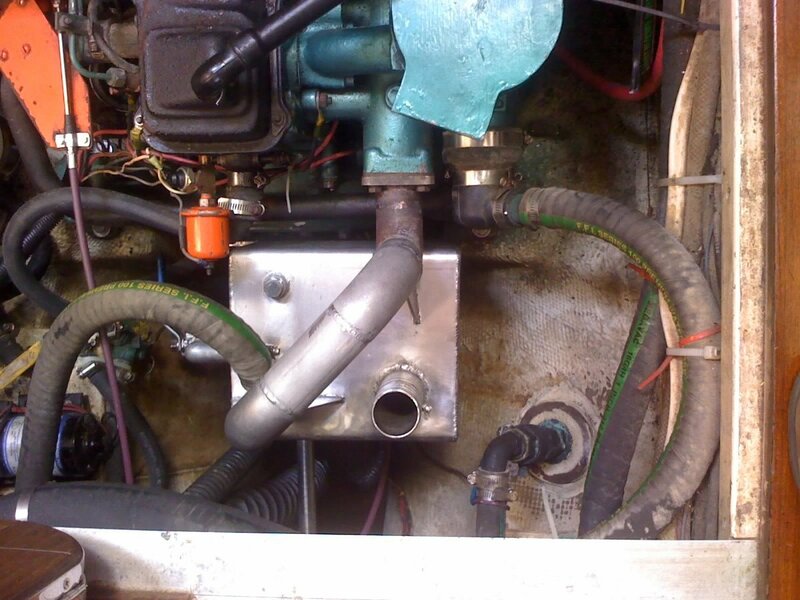 Outboard of the engine are two 50 gallon saddle tanks for water, adding to the stability. Access to the engine is through large double sole hatches in the main cabin. 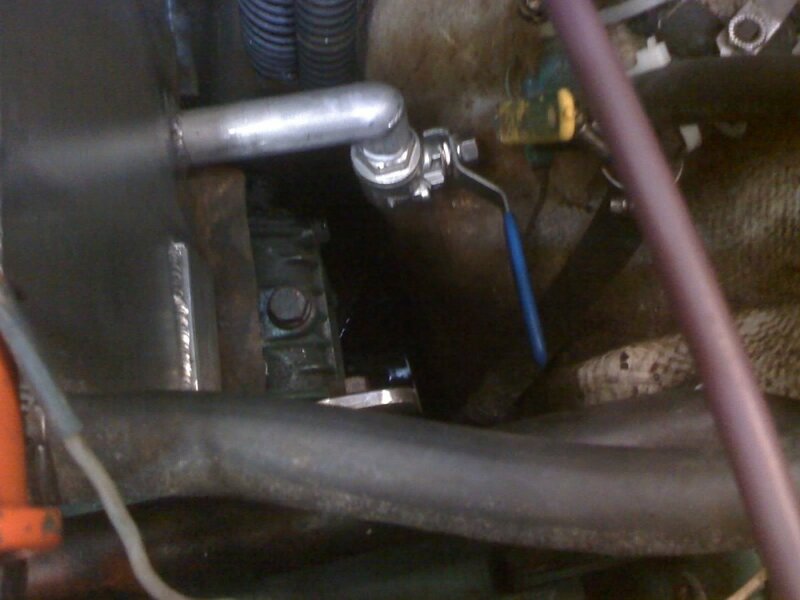 Special attention has been given to the engine compartment so all machinery is easily accessible. 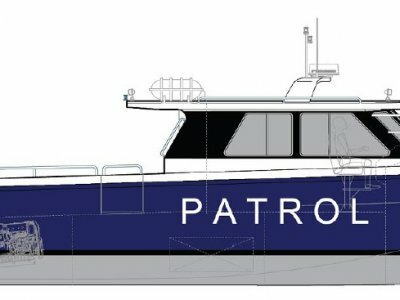 Insulation has been added to decrease engine noise, making for a quiet cabin while underway. 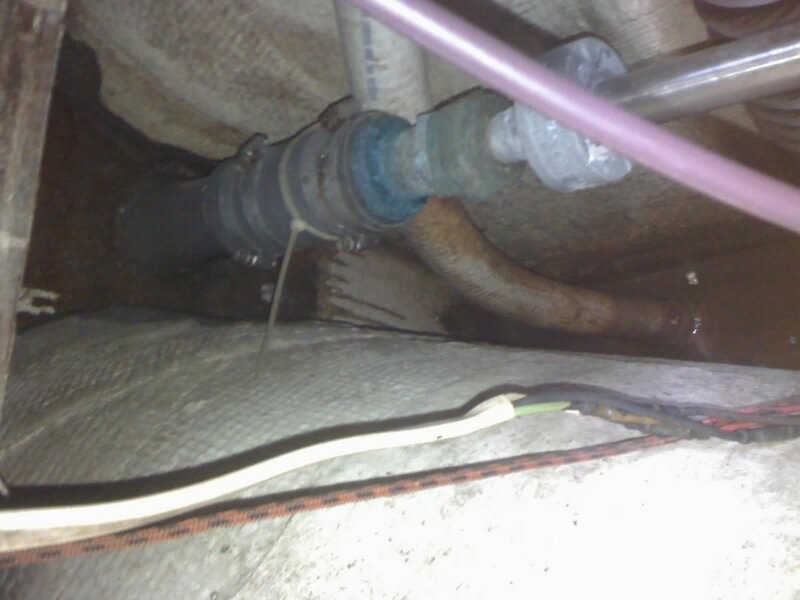 Recessed inboard genoa tracks and a flush hatch over the anchor well provide an uncluttered deck. 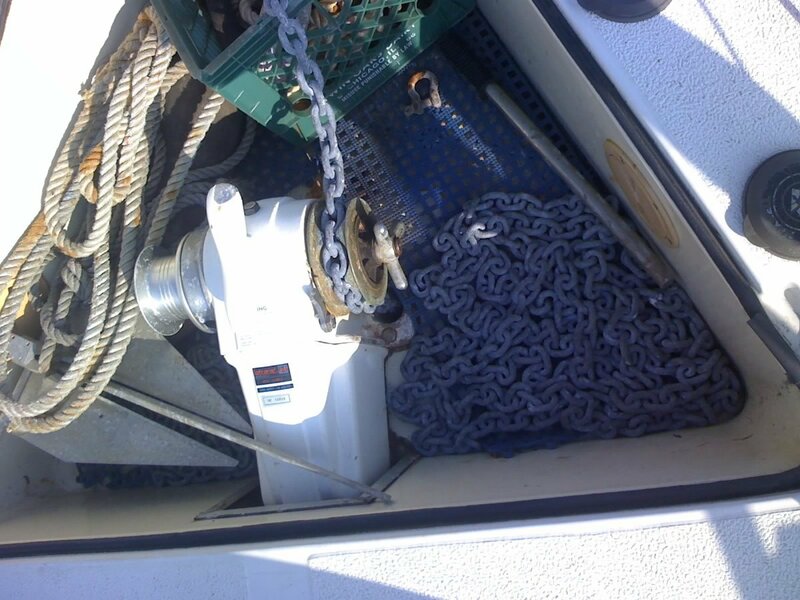 The anchor well holds a Lofrans Tigress electric windlass and 320 ft of high test chain. 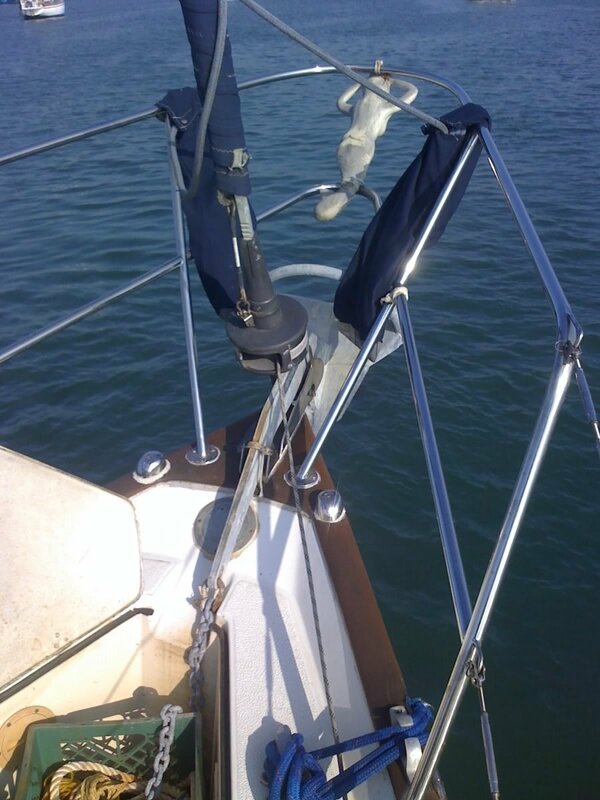 The bow roller holds a 45 lb Rocna anchor. 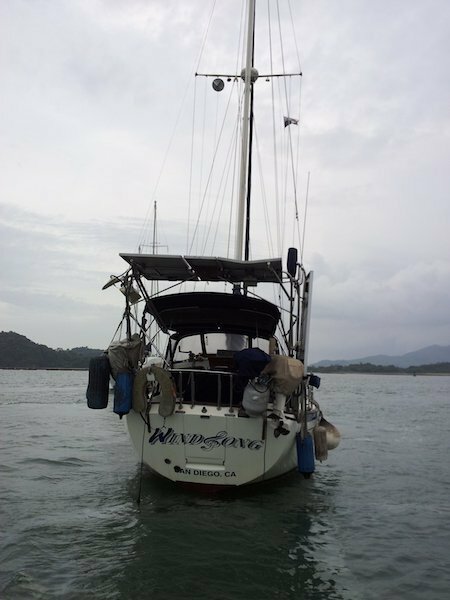 For needed ventilation in the tropics, Windsong has 4 large opening hatches, and there are 6 screened opening ports in the cabin trunks. 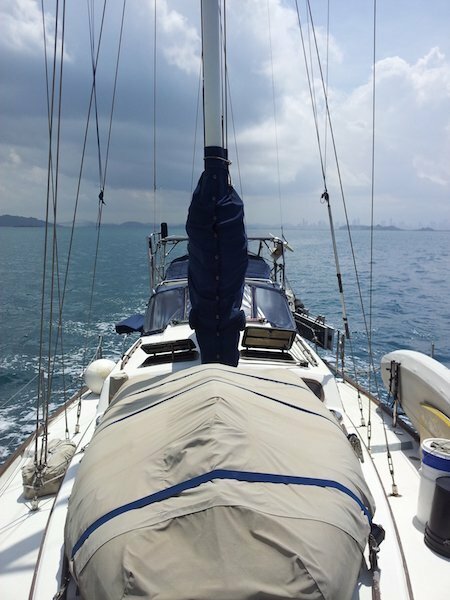 The mast is stepped to the keel; all shrouds, stays, turnbuckles, chainplates, stanchions and bow and stern pulpits are oversized, and made of heavy duty stainless steel for extended offshore cruising.